New products and technologies should simplify and enrich people's lives. Our goal is to design interactions that are easier, more intuitive, and more efficient for everyone. We find simple solutions for complex questions. Nowadays, interaction with machines, technical devices, and computers plays a significant role in daily life. We are convinced that human-centered development holds enormous potential for making life easier and more enjoyable. Win-win solutions instead of frustrated users. Only companies that know the needs of their users and customers and take these into account in the design of their products will be successful in the long run. What can we do for you? We will be happy to advise you free of charge at no obligation on how you can integrate meaningful usability measures in your project. Usability is more than just our name. 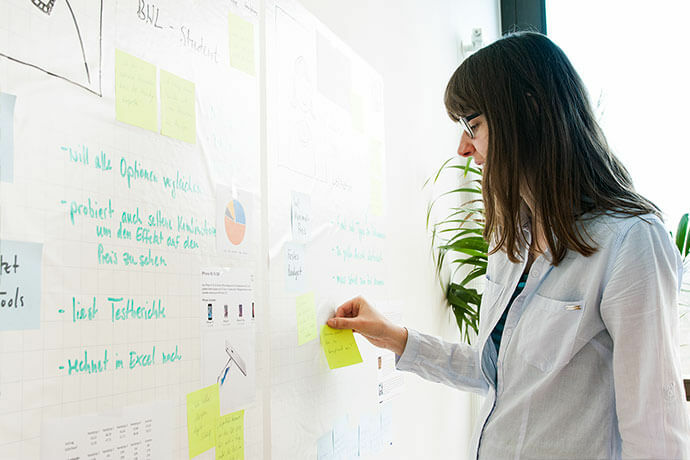 Our user-centered approach carried out by interdisciplinary teams leads to innovative and user-friendly solutions. We don't give up until we have found the best solution for our clients and their customers. Through the use of proven, scientifically-based methods combined with the technical knowledge of our experienced UX experts, it is possible to systematically implement the user experience. With passion and conviction. We listen. We understand. We optimize and design. We listen to you and understand your requirements and objectives. We learn about the needs and requirements of your users and customers. We develop an approach that is tailored to your individual project. We not only identify problems and weak points but can also convert our findings into specific recommendations for solutions and designs. In so doing, our high standards of quality guarantee optimal solutions. Satisfied customers speak for themselves. Before we get started we take the time to fully understand your questions and objectives. We don't stop at the problem. We not only identify usability weaknesses. We also support you with specific solutions. We see complexity as a challenge. No matter how complex and extensive an application is: we find ways to simplify it for users. We don't limit ourselves to the user interface. 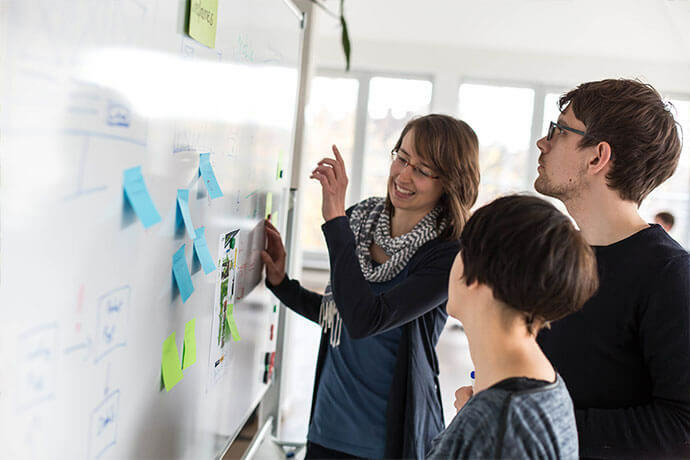 We also take into consideration the company structure, internal processes, emotions, and other influencing factors that go a long way in determining the success of a usability project. We bring structure into projects. Internal discussions often end in a blind alley. With the user's perspectives, we bring stalled projects back on track. Instead of relying solely on PowerPoint presentations and time-consuming meetings, we hold constructive, well-moderated workshops. Using the right methodology, we design interactive workshops that provide answers to specific questions. We are continuously broadening our knowledge. Upon request we will be happy to share our knowledge about usability and user experience with you - tailored to your specific project or company, of course.